Great a rotating clip-less mechanism, the ability to adjust height of platform and option to run spikes or no spikes allows you to customize them depending on the shoes you`re running to get a great fit. 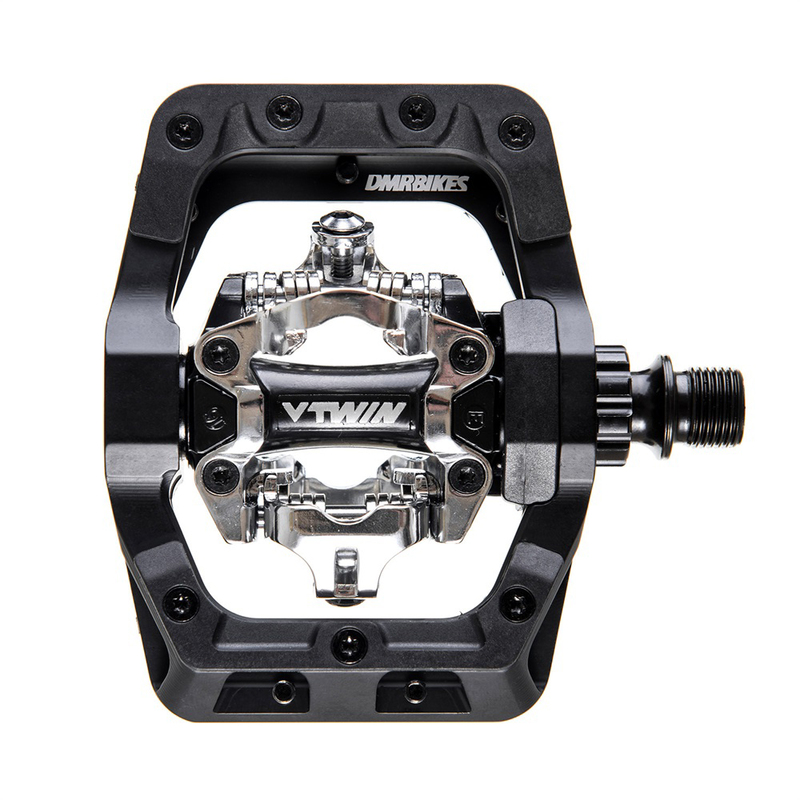 Best platform clip-less pedal I have used. It's easily bandied about but these are a bit of a game changer for me. Having been SPD forever, then been persuaded to try flats but missed the extra oomph from being able to pull as well as push I discovered I liked the larger platform and "planted" feel of the pins; what should I do? Then DMR apparently read my mind and even do it in a colour matching my Hope bits. Love 'em.